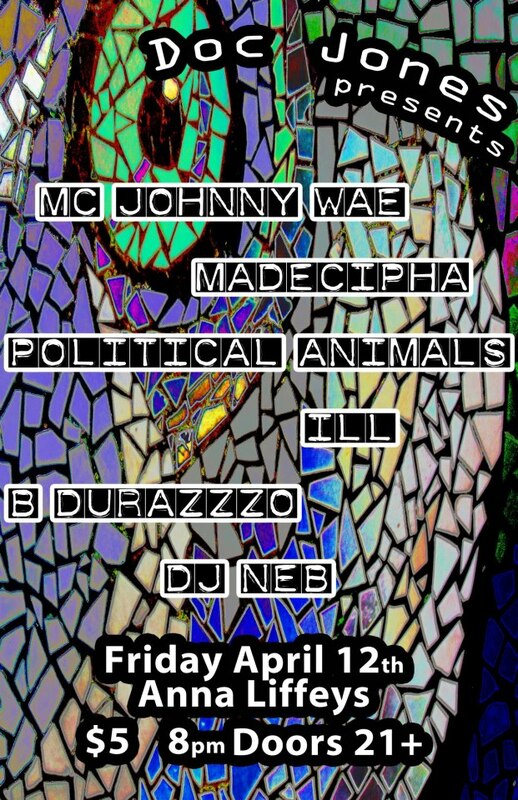 Doc Jones presents: Political Animals, Johnny Wae, Madecipha, B. Durazzo & more @ Anna Liffey’s in New Haven, CT | FRIDAY 4.12.13 | rhymeCulture.org | culture. music. news. Rock with Doc Jones and the gang on Friday April 12th!! Get off your asses and come party!